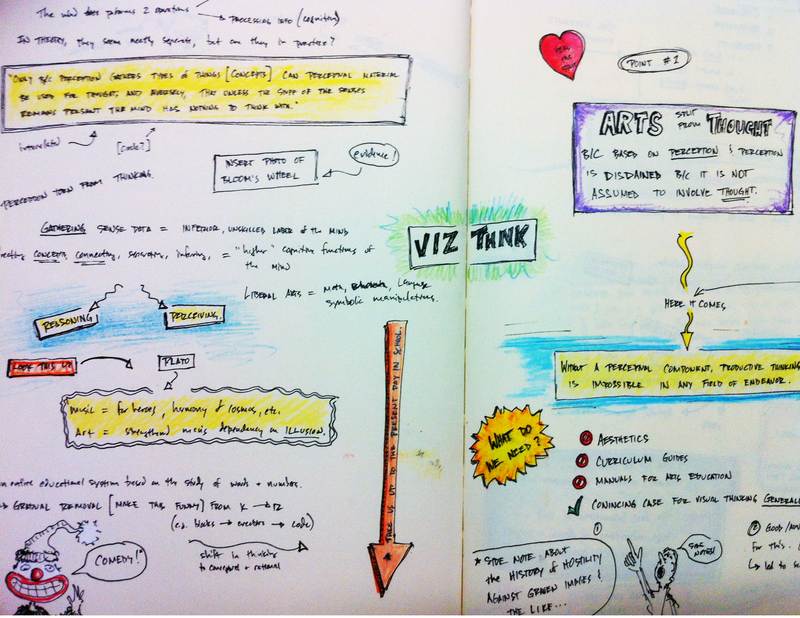 A few interesting notes about doodling. You should visit the article itself because it also includes a page from Dostoyevsky’s manuscript of The Devils. In this article, Schott describes accumulating evidence for a “default network” in our brains that bears an inverse relation to the brain’s “attention system,” and that doodling could be a way to learn about some of these brain functions. Doodling is a stress-alleviating motor activity (like fidgeting or scratching) and can actually aid concentration. Doodling might aid concentration by reducing day dreaming. 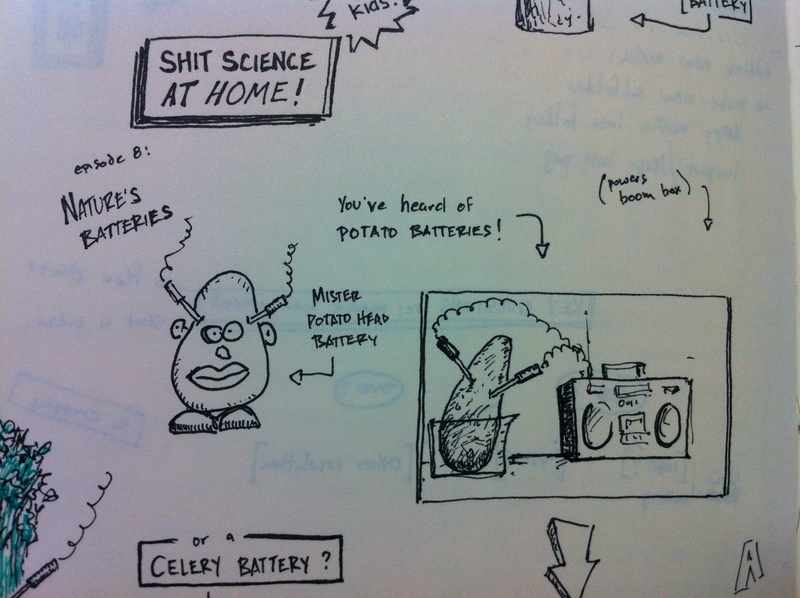 In boring situations, doodling increases arousal and watchfulness, and can help you remember stuff. The increased arousal of doodling might also aid creative problem solving. Doodles usually have consistent forms across time, which suggests that the cerebral processes underlying doodling are specific to an individual and stable over a long time. Full disclosure: I’m a doodler. If I’m talking on the phone, I’ll doodle on a receipt left on the table. During lectures or presentations, I take a version of notes that includes cartoons, arrows, thought bubbles, and other doodly bits. I keep a notebook of more formal doodles that kind of follow my wandering mind. I can’t stop doing it. Which is to say that doodlers and doodling aren’t commonly celebrated or even recognized in any formal way. If they are the focus of attention, doodles are often held to offer a revealing glimpse into the personality or psychology of the doodler. This doodles-as-personality premise, by the way, is completely unsubstantiated. So says the same article. You hear that, Mrs [name withheld]? I was telling the truth when I said I drew knives and canons because they’re easy to draw. This is what my notes look like. Cornell notes they’re not.